Good. [ No Hassle 30 Day Returns ] [ Edition: first ] Publisher: Bantam Pub Date: 1/1/1981 Binding: Mass Market Paperback Pages: 320. Fair in very good dust jacket. This is my fourth copy.. The others were used so many times, they fell apart. It's great if you're just starting, a way to get back to your routines, or as a supplement to your classes. For me, it's a necessity. My wife has taught yoga for 30 years and I have practiced for over 15 years after initially learning from this book. We have purchased at least 20 copies over the years to give away to friends who want to start yoga from scratch and, for whatever reason, can't or don't want to attend a class. 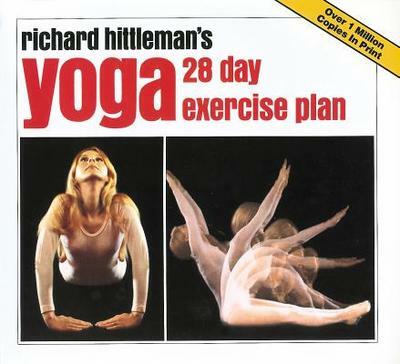 Mr. Hittleman's 28 day yoga plan is expertly devised to take you from a place of no knowledge or experience to a place of comfort and ease with yoga. I highly recommend it. this plann really works. The photos and the clearly written directions helped me to lose 2 inches of my thighs.Do not confuse this with other plans. the photos and directions are necessary to be able to help the absolute novice. This book is full of tried and tested yoga which is easy to follow. The simple photos help the absolute beginner. If you are buying this book, I recommend the larger hardback version. It is easier to read whilst holding your yoga position. Like all fitness books, this one is for the self-starter. Detailed photographic illustrations accompany detailed instructions for performing the yoga exercises or mastering the yoga positions. It contains a guide to choosing the kind of food that encourages whole body fitness. Provides an excellent base for a lifetime program that can stand alone or accompany other physical activities such as Pilates, jogging, and gym routines.